Dr Natalie Slobodian is the Honorary Member of the Board Security Expert Centre. She is a Habilitated Doctor of Human Sciences in world history and obtained her degree at the Historical Sciences Faculty at the Taras Shevchenko National University of Kyiv. Her postdoctoral thesis was “The foreign policy of the United States and the Russian Federation in the Persian Gulf,” focusing on energy policy and terrorism. Dr Slobodian previously worked as a member of the Energy Department at the International Centre for Policy Studies in Kyiv, Ukraine. She is also a former member of the Public Council at the Ministry of Energy and Coal Industry of Ukraine. Dr Slobodian has cooperated with the Pulaski Foundation and the National Centre for Strategic Studies in Poland. Additionally, she was awarded a scholarship by the Skubiszewski Foundation. Dr Iryna Ptashnyk is the Secretary of the Board of the Security Expert Centre and Director of the Conflict and Peacebuilding Program. She obtained an LL.M from the Riga Graduate School of Law and defended her PhD thesis at the Vasyl Stefanyk Precarpathain National University. 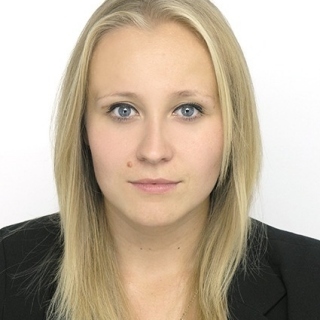 Her research thesis title was “Civil legal regulation of organ transplantation in Ukraine.” In 2017, she graduated from a master course at the University of Oslo focusing on human rights. Dr Ptashnyk is also a member of the Ukrainian Bar Association. Currently, she is actively engaged in the project “Peace and Conflict Consultant,” where she acts as a trainer. She is interested in international criminal and humanitarian law, bio-medicine, negotiation processes, and conflict transformation.